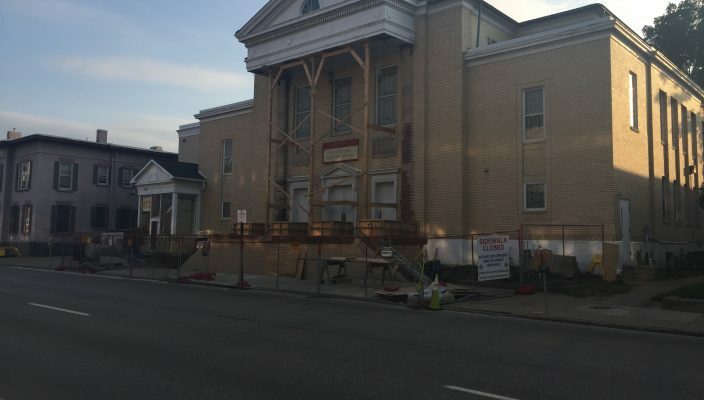 The Schuster Theatre is currently under construction, with the renovations expected to impress. Schuster Theatre opened its doors back in 1930, and has been a part of the Gannon University family ever since. Recently, it became apparent that the theatre needed a few repairs on the outside. Taking all of this into consideration, Gannon University decided to take matters into its own hands and start the reconstruction. The project began this past summer and will continue until the end of September. The iconic pillars in the front of the building are usually the first thing mentioned when describing the theatre. Although they seem like decorations, the pillars are actually a huge factor in the structure. It was also discovered that they are in fact hollow inside. This soon became a problem for the theatre. On top of that, the stairs outside the theatre were not up to code. The original design for the new stair structure was a greyish color. However, after much consideration the color was changed to a tawny beige to match the bricks at Nash Library. The Rev. Shawn Clerkin, the university’s director of Liberal Studies and co-director and associate professor of the School of Communications and the Arts and co-director of Schuster Theatre, is excited to see this new design come to life, especially the color scheme. Schuster Theatre will not only get new outdoor staircases, but a side area for patrons to enjoy. This area will include a patio at the top of the new stairs. This area will overlook Sassafras Street and hopefully make the outdoor area more appealing to those who visit the theatre. A smaller project that will be done is moving the Schuster Theatre sign. Those at the theatre hope this change will make it easier for those trying to locate the building in the future. The funds for the project come straight from the university, although the usual assumption is that the money comes out of student tuition. Gannon puts aside money for reconstruction purposes. As for the inside of the building, no construction work is needed. Former Schuster Theatre director Jax Vadney spent years making sure the theatre got the attention it needed. 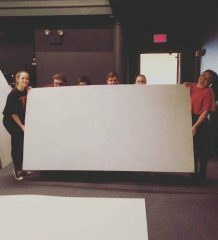 Construction is expected to be finished right before the first showing of “The Trojan Women,” which opens Sept. 27.